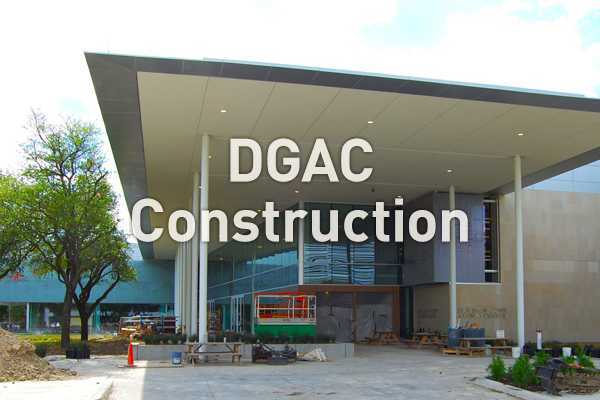 These photos show the construction of the Davidson-Gundy Alumni Center (DGA [Davidson-Gundy Alumni Center] ). This 30,000-square-foot structure is surrounded by an equal amount of green space, featuring a shaded grove and outdoor seating. The DGA [Davidson-Gundy Alumni Center] offers our 90,000+ alumni a place to connect with each another and the campus.